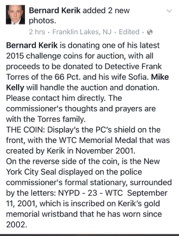 On felon Bernard Kerik's facebook appears this seemingly generous offer to "donate" one of his special 9/11 coins for benefit ailing NYPD Detective Frank Torres and his wife, Sofia Torres. 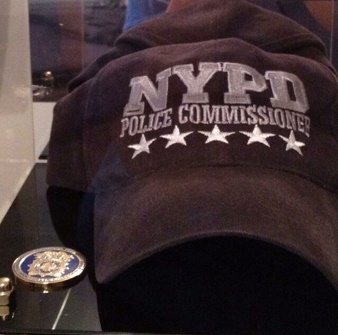 If you don't know felon liar Bernard Kerik, this appears as a sweet and generous gesture. However, www.DoingTimeWithBernie.com has done some research on these coins. 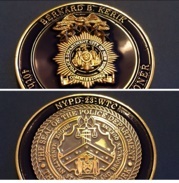 The coins were made to be collectible by Kerik and are not sanctioned as a true piece of memorabilia by the NYPD. Kerik told the author (and backed up by a text he later sent her) the hat was very valuable it was the hat he wore at this first press conference after 9/11 attacks. There's only one problem. He wasn't wearing a hat at that news conference! After the co-author wouldn't lie to the US Federal Probation office about Kerik violating his time out, Kerik and the co-author had a falling out. He told her the coin and hat were just a bunch of junk in his garage. It had no or little value. Who knows? What adds insult to injury is that felon Bernard Kerik, a liar and tax cheat will probably get a great charity deduction this year for his taxes. Moreover, felon Kerik owes over $180,000 to the USA in back criminal restitution on which he pays about $1000 per month. 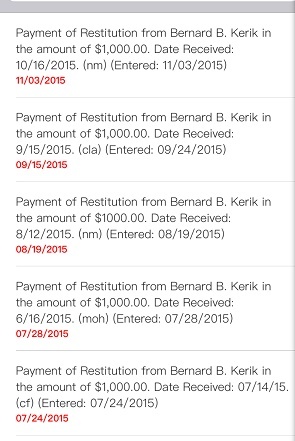 Interesting to note, at the time of writing, the Southern District of New York shows felon liar Bernard Kerik has not made his installment payment of $1000.00 due November, 2015 or December, 2015! Today, it was reported the highest bid for this worthless coin was $1100.00. 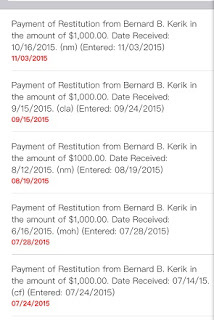 Liar Felon Bernard Kerik has been owed his $180,000 criminal restitution since May, 2013. We must ask, if felon Bernard Kerik is hoarding memorabilia from 9/11 or any time in his life that is worth this amount of money, why hasn't the government seized those valuables to pay his criminal restitution. Well, it wouldn't be the first time Kerik lied to the government. 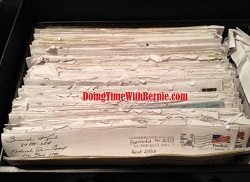 DoingTimeWithBernie.com knows everything liar felon Kerik does has a kick back. Detective Frank Torres on all accounts is a decent man with a great family who gave all to his city. We ask his wife, Mrs. Sofia Torres to please refuse the "donation" in honor of her husband's service of decent cops like her husband who aren't corrupt and perform their jobs with honor and distinction. DoingTimeWithBernie.com wishes Detective Torres, Mrs. Torres and her family the very best during this holiday season and forever more.